Tube. The Purity of Sound. Dared Audio was founded in 1995. Its sole purpose is to design and manufacture vacuum tube High-end Hi fi Audio Equipment. 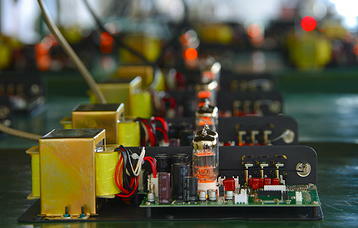 Main production products include: Vacuum tube amplifier, Guitar amplifier and multimedia speaker. All our technical personnel, QC engineers and system testers have rich experience in producing, testing and the technical management of vacuum tube amplifiers. They are highly skilled in the field of audio technology. Each amplifier is made for best performance in terms of sound quality. We test every amplifier by using our state-of-art test equipment. 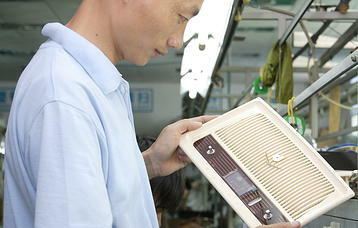 Each amplifier is also aged for many hours and listened by human ears before it is packaged. Based on stringent quality controls, artistic designs, advanced manufacturing technology and unique electronic circuitry, our products are well sought after and have attained high recognition from audiophiles worldwide. Our amplifiers are designed based on simplicity and unique audio techniques which are crafted to bring aesthetics in line with listening pleasure.